Our service technicians are available 24 hours a day for emergency commercial HVAC repairs, and many business owners in the area rely on us for quality installations and replacements for all of their commercial equipment. If you own a business in the area, call OASIS Heating, A/C & Refrigeration, Inc. for your next commercial HVAC service! 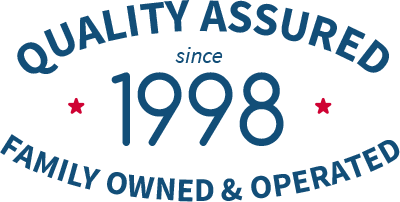 If you are looking for commercial HVAC installation or replacement service call OASIS Heating, A/C & Refrigeration, Inc. today. We can help you lower your heating and cooling bills and get more energy savings with a new Energy Star rated commercial heating and air conditioning system. If you need supporting equipment, such as a new thermostat, or need help choosing a cost–effective heating and cooling solution for your business, call the experts at OASIS Heating, A/C & Refrigeration, Inc.. 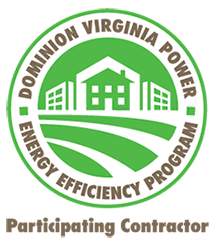 OASIS offers emergency commercial HVAC repair services throughout Northern Virginia. We offer free estimates on repairs, and our technicians can help you find the right solution for your heating repair needs. We are here 24/7 to answer service calls, and when you have a heating or A/C emergency, we will send a technician to your facility as soon as we can. Call now for any urgent commercial heating and air conditioning repair needs. With our routine maintenance check–ups, service plans, and 23 point tune–ups, you get lasting results with any type of commercial heating and A/C system. Keep in mind that a well–maintained system is an efficient one. Annual tune–ups help prevent repair needs and lower your operation costs by lowering energy bills. We are always happy to go over our maintenance contracts with you, so don’t hesitate to call us the next time you need a routine check–up for your commercial HVAC system. The great workhorse of the commercial heating and cooling world is the rooftop package unit. These systems offer benefits such as saving space indoors, reducing noise levels, protection from vandalism and damage, and offering easy access for repair and maintenance technicians. Our commercial HVAC team can take care of all your needs for rooftop units, from installation to maintenance. We can install, maintain, and repair all of your HVAC equipment. Whether you need an emergency commercial HVAC repair or installing a new high–efficiency commercial heating and A/C system, we can handle all of your local commercial HVAC needs. Call today to learn more about our commercial services.